This movie deals with the harsh difficulties of the competitive world of ballet. From the very beginning, we see that competition in a place like American Ballet School is cutthroat. Nearly every dancer who made the cut to be in the school in the first place was the best dancer in the studio they came from. So already, there is a room full of incredibly talented dancers all dreaming of the few spots available in professional ballet companies. These dancers have to come to terms with their own limitations as well. Ballet is the strive for perfection, and since no one is perfect, each dancer has to realize his or her weaknesses and choose to either work past them or let them be limitations. In addition, Center Stage tackles the issues of body image and eating disorders through Maureen, a character who forces herself to throw up as punishment for eating a slice of pizza. The movie also shows the drama that can go on behind the scenes in a professional company. Love and lust among dancers, directors, and students add plenty of drama and emotion to the mix that audiences would never know about from watching only what happens onstage. Amanda Schull plays the role of a sweet, naïve young ballet dancer well. She convincingly portrays Jody and the struggles she faces and overcomes during her year as an American Ballet School student. Her fairly quiet and demure personality is contrasted by some of the stronger personalities that surround her. Eva, played by Zoe Saldana, has a sassy and strong-willed attitude. Although this often gets her into trouble, she plays the rebel well and adds interest to the plot. Also, Maureen, played by Susan May Pratt, thinks she is superior to all the other dancers. The actress plays the part well as Maureen goes through a transformation throughout the movie. By the end, she is no longer the stuck-up ballerina she was before; she finds herself and realizes that her dream is not to be a ballet dancer, and she makes the decision to give up that life in search of her true passion. All of the actors and actresses work well together to show the many layers of dancers in the world of professional ballet. This movie features several full-length dance numbers that let the actors show off their real-life dancing skills and impeccable ballet technique. Here are reviews of the top three dance numbers. 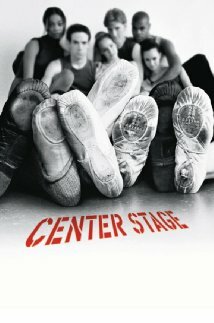 Overall, this is a great movie for all types of dancers. It shows both sides of dancing: the sacrifices dancers have to make in order to follow their dreams, as well as the rich rewards that come with a performance. I highly recommend this movie for any dancer and anyone looking to find out more about what goes into the dances you see onstage.